Look smart and stay comfortable even if you are at the game in this Raging Bull Stretch Pinpoint Oxford L/S Shirt in Navy. 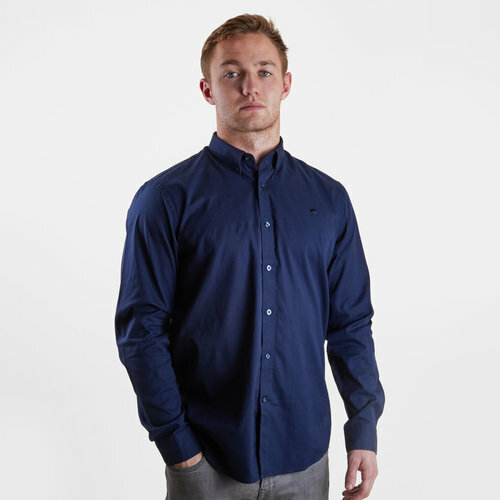 This pinpoint Oxford shirt is the perfect shirt for your wardrobe as it can you from daytime casual wear to nighttime "out out" wear al depending on your mood. This shirt goes with everything from denim jeans to chinos and can be worn with knitwear, blazers or jackets. This shirt has been finished with a simplistic, understated Raging Bull logo to the left of the chest.